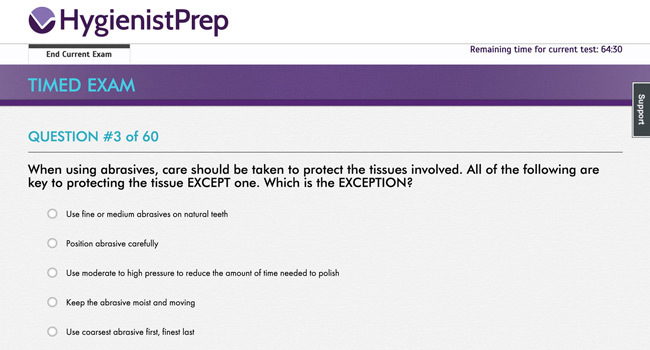 See why HygienistPrep is the clear choice for your NBDHE® preparation. 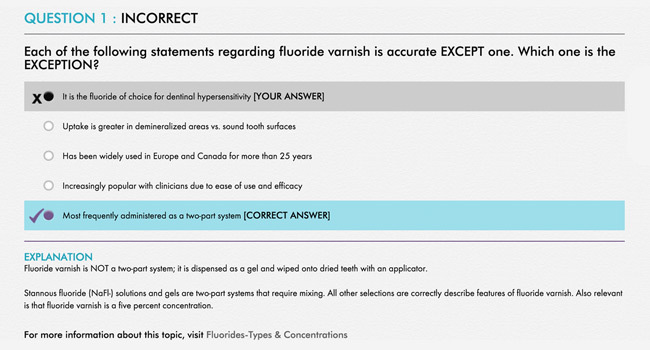 Detailed answer explanations are one of the most important learning tools in HygienistPrep. Instead of memorizing answers, the explanations help you better understand the concepts. Don't just learn which answer choice is the correct choice; learn why that answer is indeed the correct choice. No NBDHE® exam questions will be identical to what you've studied, therefore comprehension is key to success on exam day. 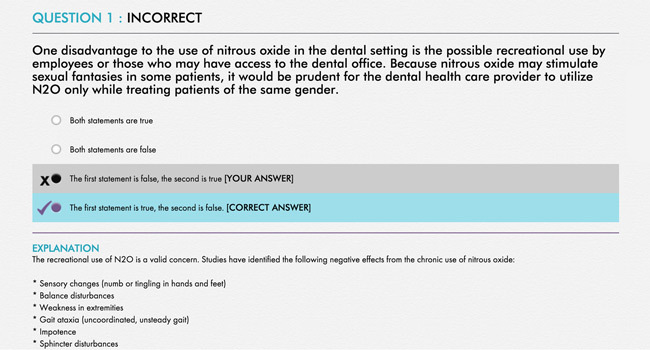 The ratio of question topics, question format, and user interface were specifically designed to simulate an actual NBDHE® exam and to get you accustomed to the timed test. Practice questions allow you to test your overall knowledge; timed exams help you gauge your ability to answer questions at a pace to complete the actual exam. In addition to standard multiple-choice questions, you'll also encounter cases and testlets. PowerPages are neatly packaged PDFs each focused on a single key dental hygiene topic. Each PowerPage is condensed to the main points on the subject for quick synopsis. 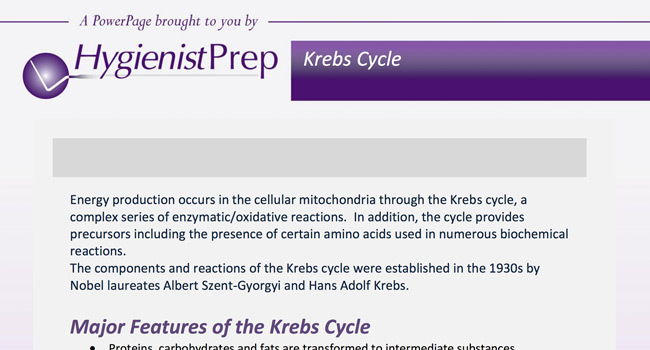 They provide the equivalent of a summary and highlights for a topic specific lecture or review session. PowerPages are also linked to questions on the topic for easy accessibility when you need additional information to master the concept. 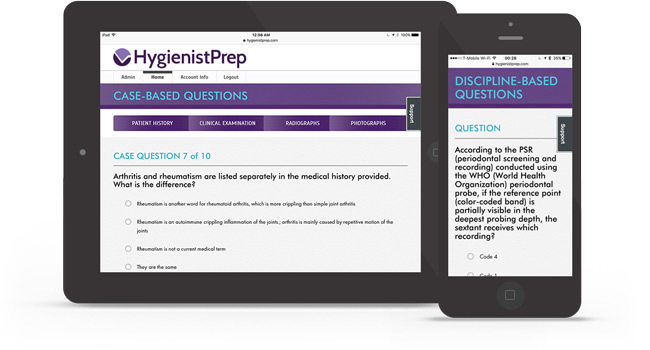 Access HygienistPrep any time and anywhere via your smartphone or mobile device and the mobile web app. Our HTML5 mobile site is optimized for mobile devices, letting you get in a few questions when you have some time. Take a few random questions, study from a specific category, or try a few of your most difficult ones.